Lasgo lead singer Jelle may have just had a baby, but she’s not letting that get in the way of being one of the most consistently amazing dance acts in Belgium. ‘Sky High‘ is another surefire classic and between this, AnnaGrace’s ‘Ready To Fall In Love‘ and his own ‘Everyday‘ producer Peter Luts seems unstoppable at the moment! Now all we need is for him to capitalise on Charlotte Buyl’s newfound The Voice fame to revive Pearl and we’ve got all our boxes ticked! Despite its joyful lyrics ‘Sky High‘ seems to have kind of a melancholic touch to it in an “Oh my God, is this really happening?” kind of way. Then again, if you were in a music video where the plotline is to get Meysam from So You Think You Can Dance shirtless as often as possible you wouldn’t be able to believe your luck either. You’ve stopped reading at “Meysam from So You Think You Can Dance shirtless”, didn’t you? Fair enough. “Sky High” by Lasgo is available on Spotify and iTunes. If you’ve read my post on what is next for the The Voice Van Vlaanderen contestants then you knew Eva Jacobs had something up her sleeve for us! Eva was one of the early favourites in the competition, but was surprisingly eliminated in the Battle Rounds. With a Wouter Van Belle produced album already recorded, she wasn’t going to let the momentum fade, though. After getting back into the studio to tweak some last bits and pieces she is ready to release her eponymous album on May 18th. I’m assuming Eva’s debut will include some of the tracks she has up on her official website and YouTube channel, as well as her Bent Van Looy penned, pre-The Voice single “Shine“. To really kickstart this campaign the soulful singer/songwriter has gone back to the moment Belgium first fell in love with her, her impressive rendition of Alicia Keys’ ‘If I Ain’t Got You’. It got all four chairs turning when she auditioned for The Voice and has been a fan favourite since, so she’s recorded a studio version to be released as her brand new single. 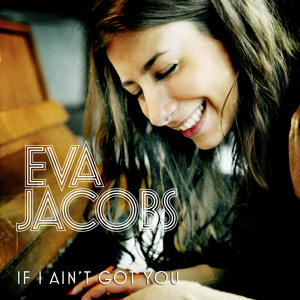 “If I Ain’t Got You” by Eva Jacobs is available on Spotify and iTunes from April 27th. With today’s announcement that vtm will be airing the first season of Belgium’s Got Talent (let’s just ignore 2007’s Supertalent on VT4 for now) it seems as though the dust has settled on season one of The Voice Van Vlaanderen. Late last year tv channel vtm set out to look for the best voice in Flanders, the Dutch speaking part of Belgium. (French speaking public broadcast RTBF did the same for Wallonia with The Voice Belgique, but that’s for another post) Manning the spinning chairs were four of Flander’s biggest names in music: Clouseau frontman Koen Wauters, Arid lead singer Jasper Steverlinck, Idool’s biggest success story Natalia and Hooverphonic mastermind Alex Callier. With this post I’ll try and do a bit of a round-up on what the musical future holds for some of this season’s best loved contestants. With few official announcement available, all information was acquired from various websites, newspapers, magazines, Facebook accounts etc. If I’ve missed out on anything/anyone, if you’ve got an update on the information posted or even if you’re with a label and want to tell us about your post-The Voice plans, don’t hesitate to comment below! 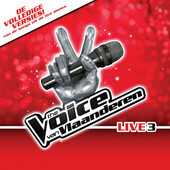 Glenn Claes, winner: Last month I already introduced you to The Voice Van Vlaanderen winner Glenn and his debut single. 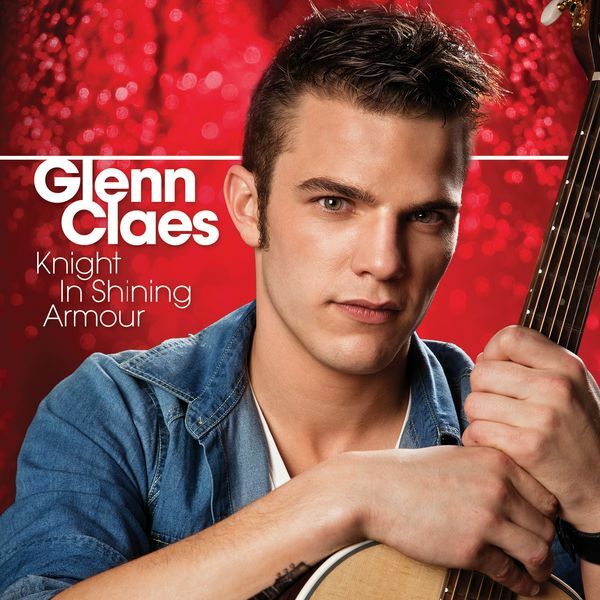 Since then “Knight In Shining Armour” got into the top 3 before gently starting to slide down the charts. However, Glenn is currently doing a signing tour at Free Record Shop stores all over Flanders which will surely have a positive impact on physical sales, so don’t write the gentle guitar ballad off just yet! A rush-released album was originally planned for April, but was pushed back to September to allow for a quality collection of what will no doubt be radio friendly, Kooks-ish guitar pop. A second single for the summertime seems like a given. Iris Van Straten: Before she entered The Voice Iris was best known for playing Sabrina on the 90’s sitcom “De Familie Backeljau”. However, come 2012 the ditzy blonde had become a crazy-in-a-good-way smoky-voiced chanteuse. With Iris it wasn’t so much about every note being perfect, it was the unique sound of and character in her voice. Combined with coach Alex Callier’s impeccable song choices (Springsteen’s “The River”! Cash’s “Hurt”! Boy George’s “Somebody To Love Me”!) it was a story of success. Despite her single “Teasing” going top 10, she was deemed too much of an acquired taste at first, so an album seemed uncertain. Luckily, Alex stepped in and promised to write and produce it for her. Bert Voordeckers: His “Come” was the least successful of the finalists’ singles, but that isn’t stopping Bert from making musical plans. He is said to release a studio version of his audition song, “Girl, You’ll Be A Woman Soon”, and has announced a theater tour with sports commentator Michel Wuyts. First though, he is recovering from getting a gastric band put in, in a bid to lose 70 kilograms. Axelle Aerts: Going into it, Axelle Aerts seemed to have it all going for her. I even said as much in a post on this blog. She had talent show experience from when she did Junior Eurovision, she was the opening act on coach Natalia’s SingStar Glamorous Tour, she’d shown some major pop promise with her first proper single as Axeela and her The Voice audition was impressive to say the least… And yet, she had to leave the show in the first week. After forgetting to put in her in-ear monitors during her rendition of Jessie J’s “Domino”, the public chose not to send her straight through to next week. And when it came to it, Natalia decided to save Yass Smaali over Axelle, because she felt the latter still had a life of other opportunities ahead of her. And it does seem that Axelle’s talent didn’t go unnoticed… Not only will she part of the upcoming The Voice tour, she has been tweeting about being in the studio! It is however unclear if a future single will be released through Sony Music or her old label SonicAngel. Charlotte Buyl: Charlotte is another contestant who didn’t make it out of the first live show. Since leaving the show she’s hinted at a possible new single for her dance project Pearl. You may remember their excellent singles “Like A Video Game” and “Speechless“. Nothing’s been confirmed yet, but with Charlotte more famous than ever, why wouldn’t N.E.W.S Records revive the Peter Luts produced project? Stéphanie Onclin: Stéphanie may have stranded in the semi-final, but her rocking performance of Skunk Anansie’s “Weak” seems to have struck a chord with the Flemish public. Stéphanie will be part of “The Voice On Tour” and is said to have a single coming up. Here’s to hoping we finally have a new Laura Ramaekers! Zusjes Vinken: The Vinken sisters’ rendition of “Hallelujah” managed to enchant the nation and even got The Voice to bend its rules and allow a musical trio. Surprisingly, Elisabeth, Gabriëla and Alexandra only lasted two live shows despite their “Bang Bang” being one of The Voice’s first chart hits. No announcements have been made, but considering the pre-live show hype and support from the likes of radio station MNM, it would surprise me if no one signed them eventually. Oh, and can I put in a request for them to do an Appleton and simply go by Vinken from now? Claudia Decaluwé: I was so happy to hear Claudia auditioned for The Voice. When I was a kid her 90’s girl duo Sha-Na was perhaps the first act I was ever a fan of. After leaving the group Claudia went on to Eurovision fame, forming the band Spark with her then husband. They came second with the catchy “Someday” in 2002’s national final. Later she would also join Ameerah (of “The Sound Of Missing You” fame) in the Twinsband. Since not making it out of the Battles in The Voice, Claudia has restarted Spark, posting a cover of “Boys Of Summer” as a first taster. Eva Jacobs: With an impressive rendition of “If I Ain’t Got You” Eva seemed a certainty for the live shows. Surprisingly, coach Koen opted to send through Pistice Yoka Mpela instead. But not to worry, Eva had her album recorded even before she auditioned. A single will be released just three weeks from now, with a Wouter Van Belle produced album to follow. If you’re curious as to what it’ll sound like, check out her 2011 single “Shine” (written by Das Pop’s Bent Van Looy!) and a sample of “Stay With Me” on her official website. Lien Vervoort: Lien was no stranger to talent shows when she signed up for The Voice. She’d already taken part in Can You Duet and Let’s Go Lasgo, which had resulted in providing vocals on the Peter Luts hits “The Rain” and “Hands Up“. For her first release after The Voice Lien has teamed up with Peter’s former Lasgo colleague Dave McCullen. Lien is the voice on dance anthem “Calling Your Name” which hit iTunes at the end of last month. Zippora De Brauwer: Being responsible for the epic “Lotus Eater“, Zippora will always be an early 00’s dance legend no matter what. Since stranding in the Battles of The Voice Van Vlaanderen she’s gone right back to her dance roots and we wouldn’t want to have it any other way! She released “Never Again” with producers Nils van Zandt and Sergio Silvano and considering she’s put out a couple of singles with BIP Records in recent years, I’m confident that there’s more to come. Update 4.5.2012: Sony Music has announced that Glenn, Silke, Bert, Axelle and Stéphanie will all be releasing a single before the summer. There seems to be no stopping the Belgian dance scene at the moment! Less than two weeks after posting a first and second update on the hottest new releases, here’s a third one! The opening track to this post comes courtesy of Peter Luts, the mastermind behind Lasgo and AnnaGrace. With production and remix duties on many projects, Peter’s days must be jampacked. Yet he still finds the time to take on a solo project of his own and make himself as much of a household name in the charts as he is behind the scenes. With his new single Peter sets out to top his biggest success to date, top 10 hit “The Rain” featuring the vocals of The Voice Van Vlaanderen contestant Lien Vervoort. Whereas his last release “Cayo” was an instrumental club anthem, “Everyday“ marks a return to (as of yet unidentified) female vocals over those breezy, summery synths we all know and love! The track comes with an appropriately sunny video, although its love interest might surprise you! Update 21.03.2012: According to CL in the comments to this post, the singer on Peter Luts’s “Everyday” is Chantal Kashala, one of Belgium’s best loved backing vocals! A surprising addition to the latest dance releases is the return of Rank 1! Over 10 years since their biggest hit in Belgium, trance gem “Such Is Life“, the Dutch DJ duo is prepared to rule the charts once more. On “Wild And Perfect Day“ they’ve teamed up with trance musician Jochen Miller and, surprisingly, Sarah Bettens! You may remember Sarah as the leading lady of internationally successful Belgian rock group K’s Choice whose “Not An Addict” is probably one of the most iconic songs ever to come out of this country. Sarah’s vocals complement the blast-out-of-your-car-speakers-with-the-top-down-on-a-sun-filled-roadtrip-ness of “Wild And Perfect Day” perfectly. Lastly, the brand new Sylver single I talked about in my earlier update now comes with a brand new video! Silvy -who’s really rocking that new hair- went to shoot the “City Of Angels“ video in, well, the city of angels! We see her driving around Sunset Boulevard and Rodeo Drive only stopping to ogle a ripped, shirtless man working out. As you do. “Everyday” by Peter Luts is available on Spotify and iTunes. “Wild And Perfect Day” by Rank 1 & Jochen Miller ft. Sarah Bettens is available on Spotify and iTunes. “City Of Angels” by Sylver is available on Spotify and iTunes. Just a couple of days ago I brought you up to speed on everything that’s happening on the Belgian dance scene and already there’s new things for me to report on! So without further ado, an update! When we last spoke only a preview of Jessy’s 2012 remake of her classic “Innocence” had been online. Now, I can present you the diva’s shiny new video for “Innocence ’12“! Having heard the full thing now, we can assure you that producer Regi has found a way to make Abie Flinstone‘s rap blend in seemlessly with all the things you loved about the original song. And yes, the epic “it feels so good… come on and take me” bit is still there! Oh, and be sure to compare my earlier write-up of the song with the YouTube description for the “Innocence ’12” video! Someone at Jessy’s label Mostiko must be reading Charley says POP! There may not be a video for her group Sylver’s new single “City Of Angels” yet, but Silvy De Bie has shot scenes for her latest solo song. The result of that is now on YouTube! Newly redhead Silvy looks gorgeous in the video for “Without You” which is credited to David Latour ft. Sil! Lastly, here’s one I missed out on in my previous post. You may recognise Elisa Guarraci from her time on Topmodel, her 2008 Eurovision effort or her audition for The Voice Van Vlaanderen. These days though she’s mainly busy with her girlgroup Fourlicious, who are promoting “Over You” and are said to be working with former Lasgo co-producer Dave McCullen on new material. In between all of that she’s found the time to record “In My Arms“. The song marks the Belgian/Italian singer’s second collaboration with producer Philip D. Earlier the two worked together on the breezy “When Love Takes Over” soundalike “The Last Goodbye“. So there you go, until further notice, consider yourself updated on the main new releases in Belgian dance music! “The Ultimate Jessy: Best Of 1995 – 2012″ by Jessy is available on iTunes and Spotify. “Innocence ’12″ by Jessy ft. Abie Flinstone is available on iTunes. “Without You” by David Latour ft. Sil is available on iTunes. “In My Arms” by Philip D ft. Elisa is available soon.